February proved to be a strong month for residential home and condo sales in Dane County. 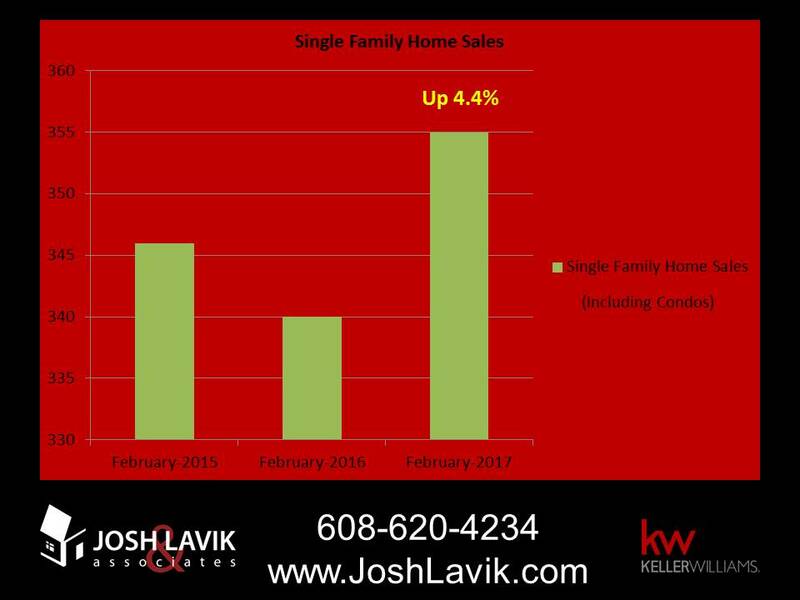 In fact, February 2017 was the highest month for home sales in Dane County since 2007 and 4.4% higher than the same month last year. The month's median sales price also increased year-over-year, which has happened 18 times in the past 19 months. 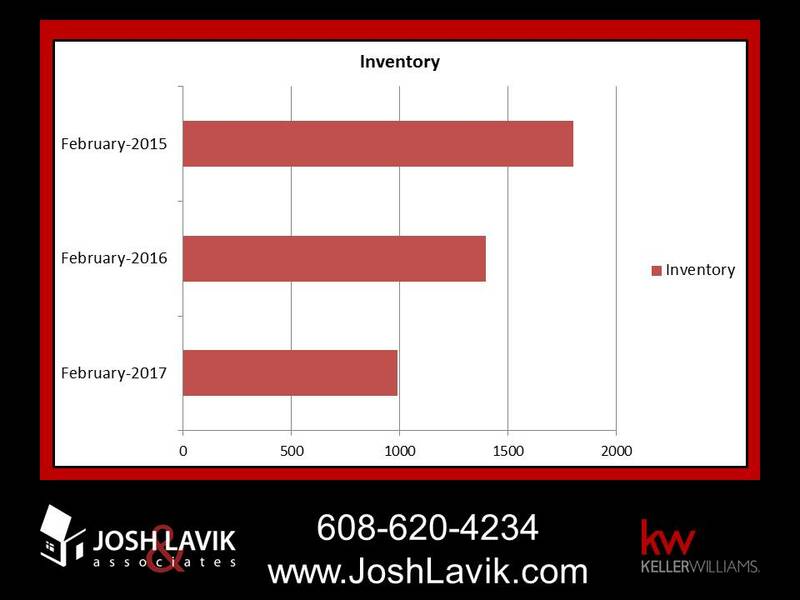 The active inventory remains as the story for the market because of a significant lack of inventory. Only 688 new listings were reported in Dane County, which is the lowest number since 2002. Total active listings came in at just 989 and it hasn't been that low since 1997. 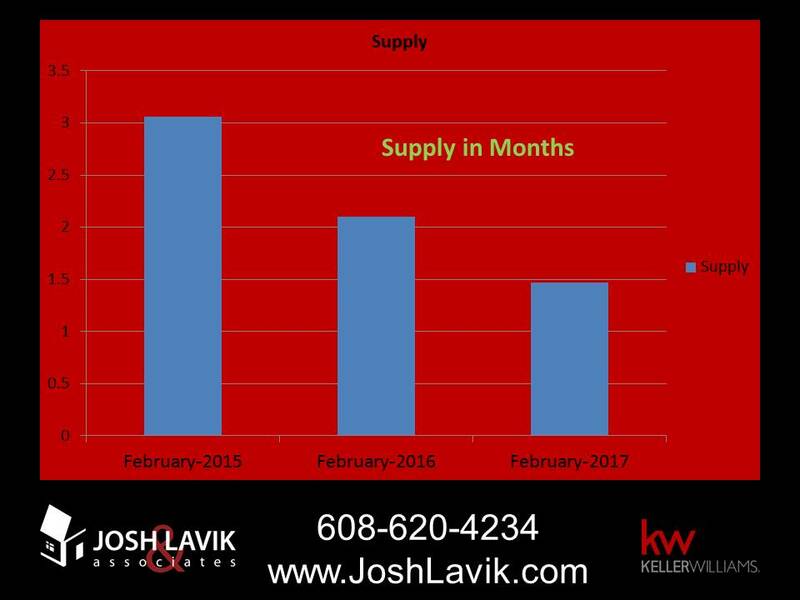 Only 1.47 months of active inventory are available to buyers. Usually, a balanced market will show about six months of inventory. Overall, compared to the start of 2016, the real estate market in Dane County is off to a positive start in 2017.